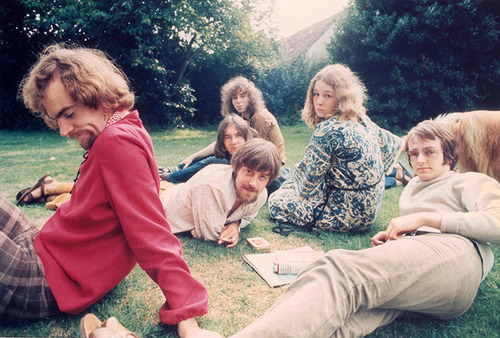 Early Fairport Convention is so wet you need to towel down after listening to it. It’s so green it gives you verdirgis. Their path to artistic maturity required them to toughen up and stop being so damn callow, which they never did entirely. Only Fairport could have put their excruciating version of Million Dollar Bash on the same LP as Genesis Hall (Richard Thompson), Who Knows Where the Time Goes (Sandy Denny) and their genuinely groundbreaking reading of A Sailor’s Life. Unhalfbricking is the album in question. 1969. Two Thompson songs, two Denny songs, a trad/arr., and three Dylan songs, with two more emerging as outtakes on a reissue. Flawed as it is by the godawful Dylan covers (and no, I’m not going to give Si Tu Dois Partir a pass either – sorry, Fairport fans. I’m no Dylan diehard but I don’t hear any of the stuff that made Dylan and the Band’s version of these songs great in any of the Fairport versions), Unhalfbricking stands as their finest album of mostly original songs. Still, it seems strange, looking at the start of their careers and knowing the later songwriting accomplishments of Thompson and Denny, that they ever needed to lean so heavily on another writer’s songbook. But what is great about Unhalfbricking is great indeed. Undeniably great. All-time great. Who Knows Where the Time Goes was voted the best song ever by Radio 2-listening folk fans, and I’m of no mind to disagree. It’s plainly wonderful. A Sailor’s Life is perhaps the most important performance in the whole of British folk-rock, in which, writes Rob Young in Electric Eden, ‘All the elements that we might associate with English electric folk are switched on.’ Fairport would continue to explore this new sound on Liege & Lief, but nothing is ever as exciting the second time around. But, for listeners, probably the first time they heard Fairport sound genuinely confident and muscular was not on A Sailor’s Life. It was on album opener Genesis Hall, Richard Thompson’s first masterpiece. Thompson has explained that the song is about a Drury Lane squat and how his policeman father was one of the squad sent in to evict the squatters. Thompson, seeing ‘both sides of the quarrel’ but naturally sympathising with the squatters, and being appalled at the level of violence used by the police, wrote Genesis Hall in response. A taut waltz, played with vigorous force by drummer Martin Lamble, it’s as chill as a November morning; Denny’s performance of Thompson’s passionate, if somewhat dramatic lyric, achieves its force through its icy calmness. Lamble was in fantastic form all over Unhalfbricking, and if Who Knows Where the Time Goes was his most emotional performance and A Sailor’s Life his most exploratory (it’s a cliché, but his cymbal washes really are incredibly evocative of the ocean spray), Genesis Hall finds him at his most authoritative. His shocking death in a van accident on the M1 after a show in Birmingham denied us the opportunity to hear him on the Liege & Lief material; his death was a musical as well as personal tragedy for the band. His replacement, the inimitable Dave Mattcks, is himself a fabulous drummer, but he sounds to me like a player who tends to sit back and respond to the dynamics of the rest of the band, whereas Lamble tended to lead them. Certainly no one who’s played Genesis Hall as the drummer in Fairport (a roll-call that also includes Gerry Conway, who I’ve raved about before here) have grabbed the song by the scruff of the neck like Lamble, with his triplet tom-rolls and crisp snare flams. Far more than any song they’d recorded up to 1969, Genesis Hall put the rock into folk-rock. 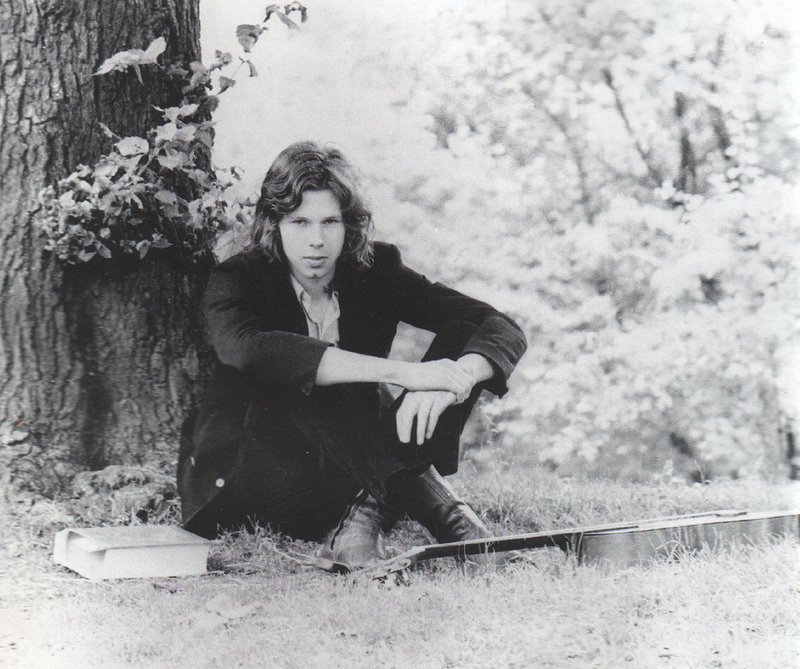 This entry was posted in Music and tagged 'Exiled from Heaven: The Unheard Message of Nick Drake', A Sailor's Life, Bob Dylan, British folk-rock, Dave Mattacks, drummers who can drum/singers who can sing, Electric Eden, Fairport Convention, Genesis Hall, Gerry Conway, Martin Lamble, Million Dollar Bash, records that sound great!, Richard Thompson, Rob Young, Sandy Denny, Si Tu Dois Partir, The Band, Who Knows Where the Time Goes on October 24, 2013 by rossjpalmer.